Situated in this pleasant cul-de-sac location in the popular area of Covingham, is this spacious semi-detached three bedroom chalet style home. The property offers superb access to the A419 & A420 for commuting and is within a short distance to Greenbridge Retail Park. 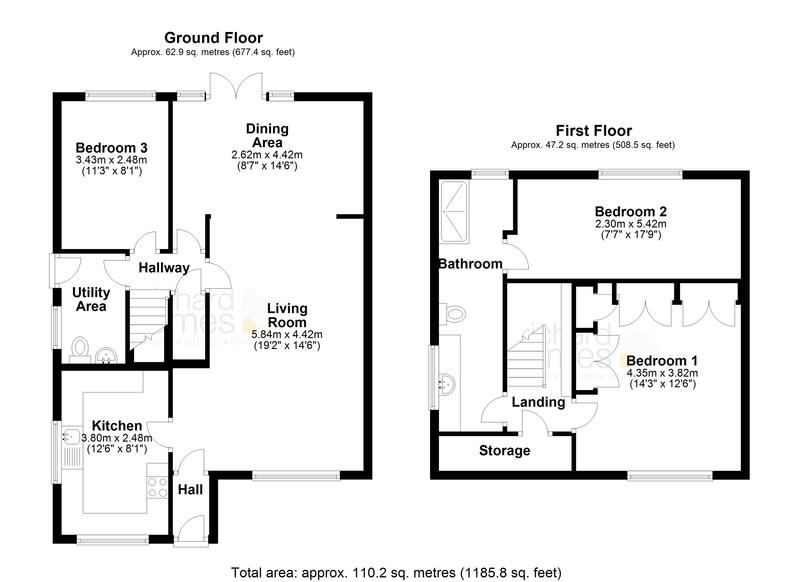 The ground floor comprises entrance hall, open plan sitting room/dining room, kitchen and Utility area with WC. There is also a bedroom located on the ground floor. On the first floor is a very spacious master bedroom that has built in storage with a further modern bathroom across the landing and another good sized room to the rear of the property. To the rear is a beautifully kept garden which is easily maintained. To the side of the property you will find extensive driveway parking for numerous vehicles. Offered to the market with NO ONWARD CHAIN. Properties in this area are rarely available and a viewing is highly recommended to avoid disappointment.